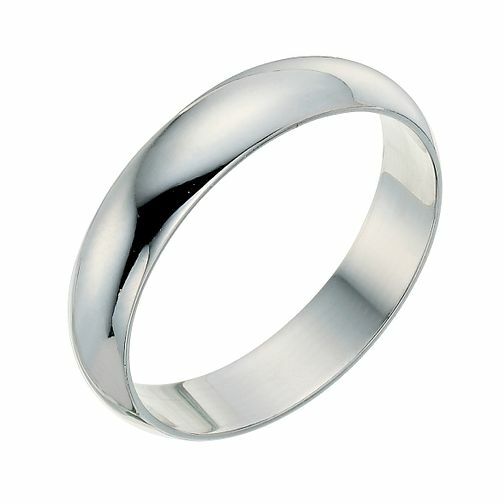 Plain 4mm shaped wedding band in 9ct white gold. 9ct white gold 4mm extra heavyweight D Shape ring is rated 4.5 out of 5 by 2. Rated 5 out of 5 by Anonymous from beautiful Brilliant quality, durable, and my future husband loves its simplicity and elegance. Comfortable to wear too. He doesn't usually wear jewellery but finds it very easy to wear. Definitely recommend.